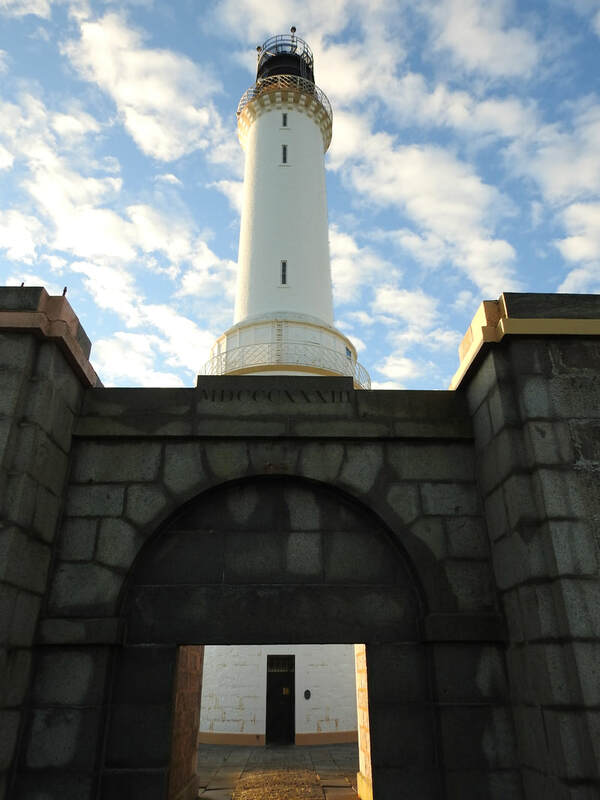 View of the tower and main entrance to the courtyard at Girdle Ness Lighthouse. 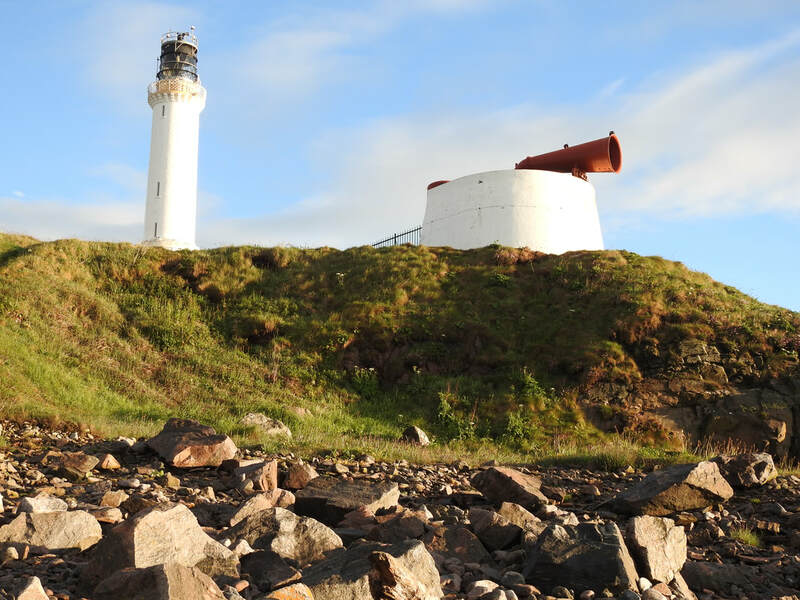 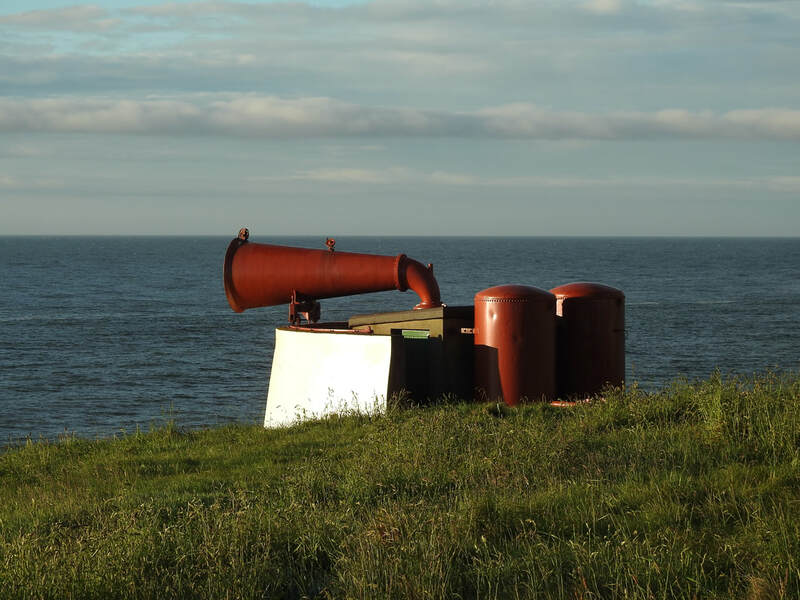 View of the tower and foghorn at Girdle Ness Lighthouse. 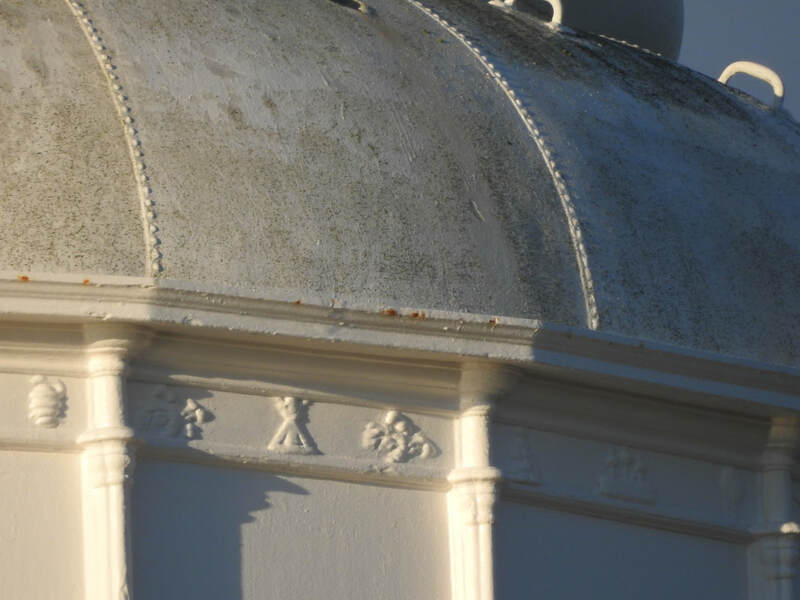 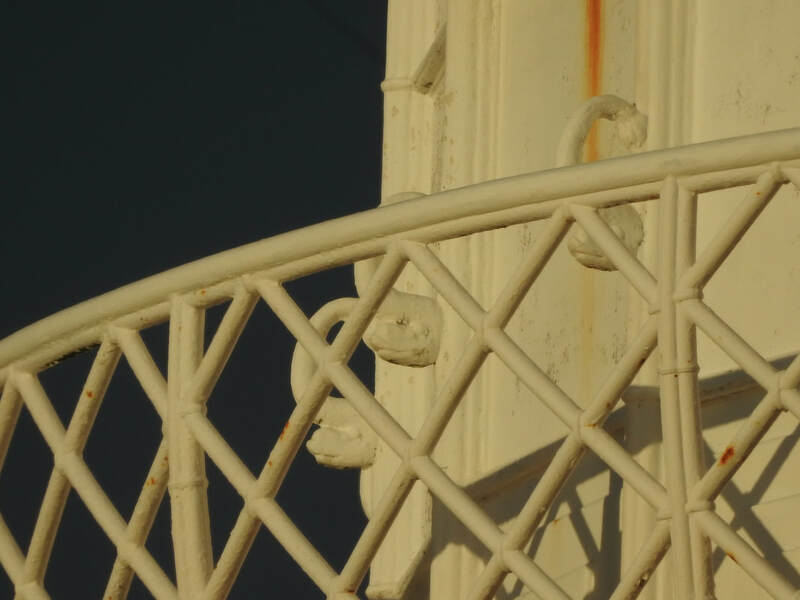 Close up view of the first balcony on the tower at Girdle Ness Lighthouse. 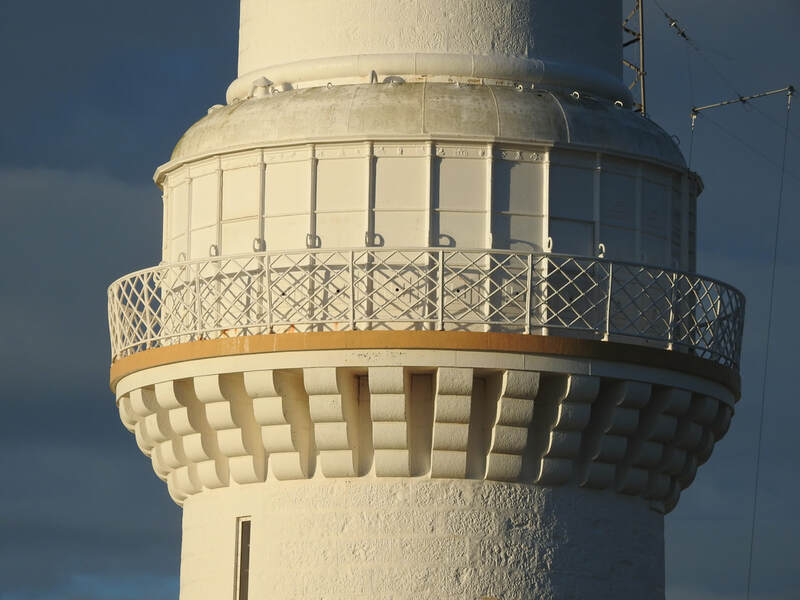 Tower detail at Girdle Ness Lighthouse. 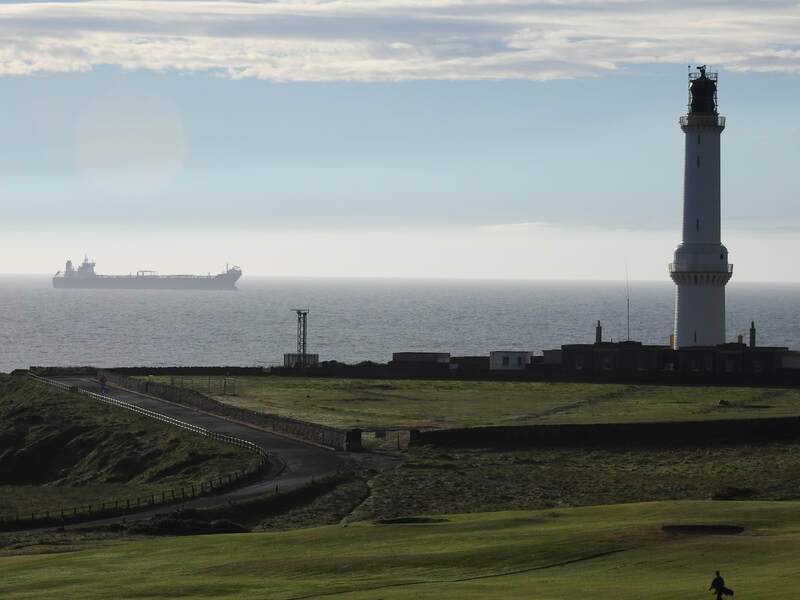 Girdle Ness Lighthouse view towards the North Sea.